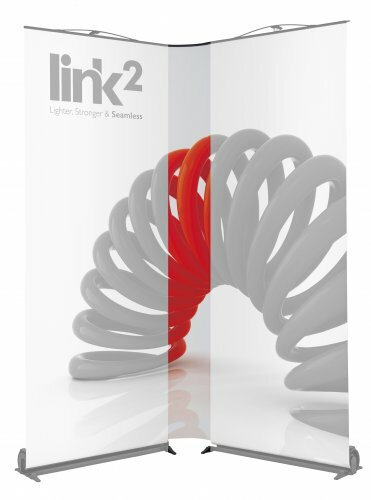 Designed and manufacturered in the UK the new Link2 roller banner is the World’s first true light-weight affordable linking banner stand. 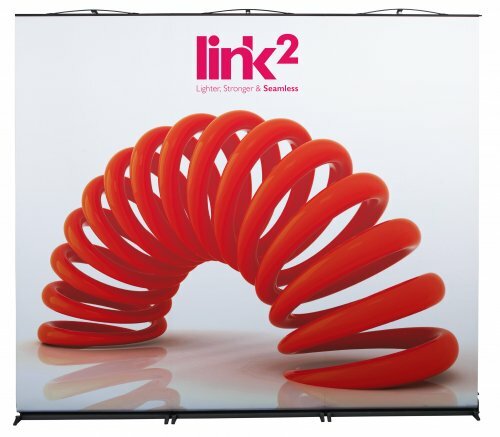 The Link2 allows for unlimited banners to be seamlessly joined together creating professional, promotional and exhibition backdrops. 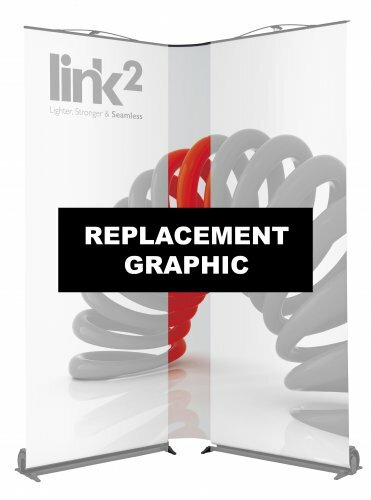 Each Link2 banner stand has interchangeable graphic capabilities, so for the first time you can now easily change graphics yourself, meaning that you can use Link2 hardware indefinitely. 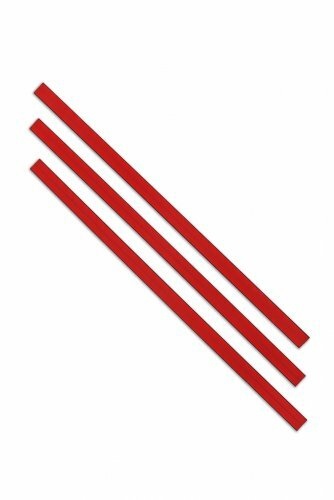 Other advantages include a patented tension system that aids graphic alignment on uneven floors, optional integrated LED lighting and flexible panels making it an ideal solution for shell schemes. 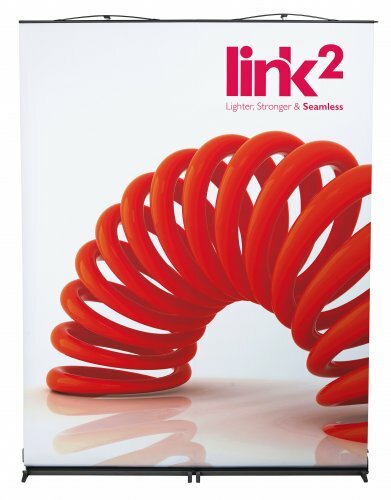 All of these unique features have been developed so the Link2 banner stand range has the ability and versatility to make a positive impact and push the bounderies within this price sensitive roller banner market. If you would like to discuss your potential requirement, please call 01440 712713 and one of our sales team will be only too pleased to assist you.